NBC Bay Area Investigative Unit Wins Coveted Peabody Award for "Tenacious Reporting"
An NBC Bay Area investigative series into the misuse of school officers is being honored with a prestigious Peabody Award. The series of reports uncovered a disturbing trend within the education system, captured the attention of top officials at the White House, and spurred security changes across 34 schools in the San Francisco Bay Area that will soon impact roughly 67,000 students. 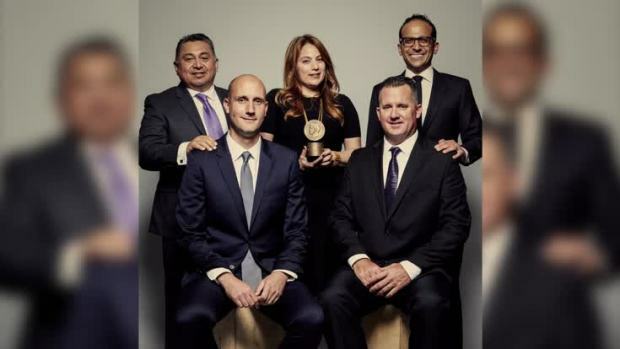 The NBC Bay Area Investigative Unit received the prestigious Peabody Award at a ceremony in New York City on May 20. "The NBC Bay Area Investigative Unit uncovered several troubling aspects in the way schools misuse police officers to discipline children, and the nearly two year-long investigation is now leading to major policy changes that will impact thousands of students," said Stephanie Adrouny, Vice President of News for NBC Bay Area, who oversaw the series of reports as executive producer. Photojournalists Mark Villarreal and Michael Horn shot and edited the series. Additional photography was also provided by Jeremy Carroll and Felipe Escamilla. The NBC Bay Area Investigative Unit received the prestigious Peabody Award at a ceremony in New York City on May 20. The awards show airs tonight on PBS and Fusion at 9pm. The distinguished Peabody Award has been bestowed to "stories that matter" since 1940, recognizing supreme storytelling in news, entertainment, radio, documentaries, and web. This year, only 32 winners were named of the more than 1,200 submitted entries. The Peabody Awards committee is comprised of media industry professionals, critics, scholars, and journalists. In honoring the NBC Bay Area investigative series, judges cited "tenacious reporting" that "contributes to the larger conversation about rebuilding trust between police and their communities." "A rigorous examination into local school districts relying on police as a means of student discipline reveals an alarming overreach by law enforcement," noted the judges." "The result for many students—mostly minority populations—is juvenile citations that become permanent criminal records. Tenacious reporting contributes to the larger conversation about rebuilding trust between police and their communities." The Peabody Awards for entertainment, announced earlier this month, recognized Beyoncé for her "visual album" titled "Lemonade." HBO's comedy, "Veep," starring Julia Louis-Drefus, and the FX series "Atlanta," created by Donald Glover, are also among this year's winners. Honorees and finalists will be recognized at the 76th Annual Peabody Awards gala on May 20 in New York City. Actress Rashida Jones will host the ceremony that will be broadcast on both PBS and Fusion on June 2 at 9 p.m. ET. Click here to see the full list of Peabody Award winners.